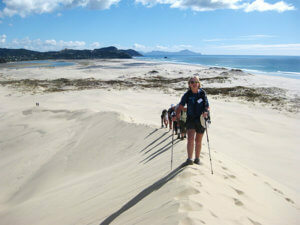 Once again the Walking Weekend Charitable Trust has raised significant funds used to provide support to a number of volunteer community groups and initiatives. 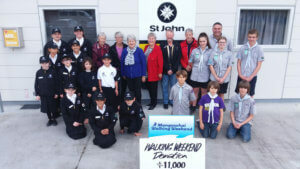 This year the Walking Weekend Trust is very pleased to be able to distribute $11,000.00 in support the following organisations: Mangawhai Tracks Charitable Trust Kaiwaka Mangawhai Scouts St John’s Cadets Mangawhai Mangawhai Heads Volunteer Lifeguard Service Plastic Free Mangawhai A big thank you to all those folk, both local and from further afield, that support our weekend of activities and we look forward to seeing you all again in 2019 for our very special 20 year celebration! 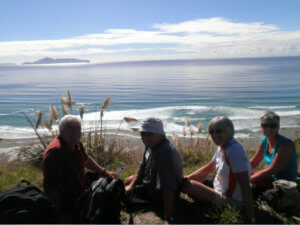 Mangawhai Walking Weekend 2019 Friday 29 – Sunday 31 March So now the dates are set we will get working on some new walks for next year! 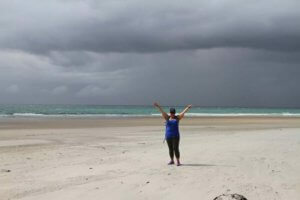 Always something new to explore in Magical Mangawhai! 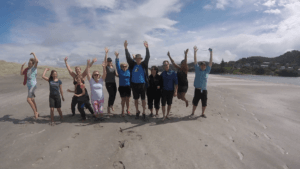 Good weather, positive numbers, new walks combined with old favourites set the scene for a very successful 2018 Mangawhai Walking Weekend. 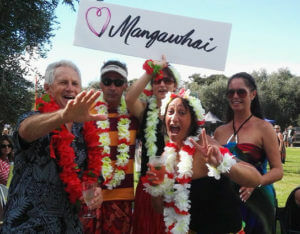 With a wide range of walks straddling Thursday to Sunday and a sold out Food and Wine Festival on Saturday afternoon, the Mangawhai Walking Weekend was a success on all fronts, with 1750 tickets sold across all events! 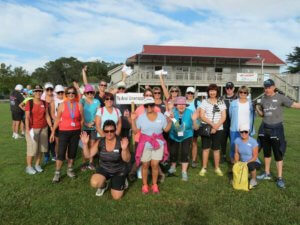 Most of all thank you to all of those who walked with us this year, making the weekend such a resounding success! Someone asked what the walking weekend was doing about Kauri Die back, and caring for these giants of our forests which once covered the landscape in Mangawhai. The few that remain are precious and walkers were provided with the means to clean their shoes on the way in and out of walks. 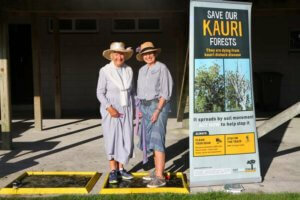 Here is a few of Jean Goldsmith and her friend Vicki in period costume before doing the Romance of the Kaipara walk.